Clodin fells a Giant via his favoured technique: Kneecap, kneecap, back of the head. 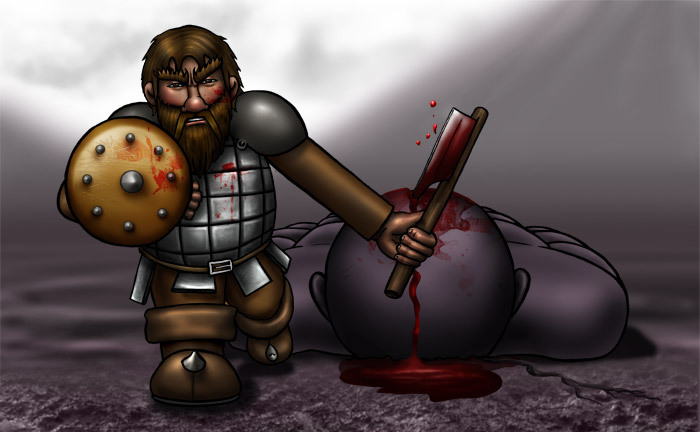 How else could a Dwarf take down something so big? This is the second piece of Epic Fail character art for the Wagon Webcomic Battle cardgame.